With a spectacular lakeside location, Hotel Excelsior is 5 minutes' walk from Garda's ferry dock. This hotel features rooms with air conditioning and a satellite TV. 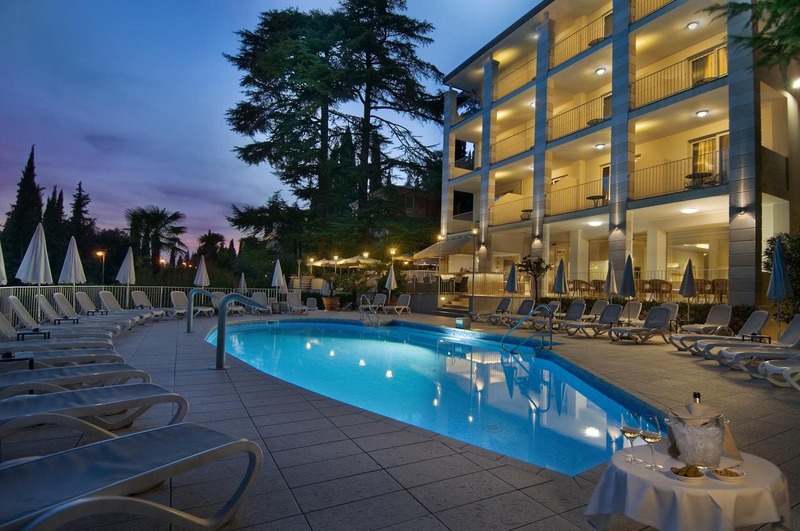 Hotel Excelsior Le Terrazze offers panoramic views across Lake Garda. Guests can relax in the hotel's garden with swimming pool, complete with beach towels. You have complimentary use of private gardens along the lake, which include sun loungers and umbrellas. Rooms at Le Terrazze are bright and spacious with tea and coffee-making facilities. They also feature a minibar and a private bathroom with hairdryer. Breakfast is buffet style and is served in the stylish restaurant or out on the sunny terraces. Afternoon tea is served at 16:00 and dinner is based on specialities from Italy and the Veneto region.